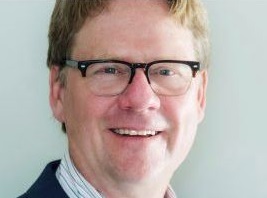 The Davis Futures Forum proudly announces our next guest expert, John Godden, publishing editor of Canada’s Better Builder Magazine, who will be speaking April 25 at 7pm, at Davis Community Chambers, 23 Russell Blvd., Davis. Godden’s talk will be followed by a response panel and questions from the audience. Canadian green building standards, like California’s CALGreen standards and international LEED standards (Leadership in Energy and Environmental Design), are some of the most stringent in the world. But they all continue to evolve and push the envelope further. The recent LEED v4 update claims to offer a more flexible, performance-based approach, streamlined user experience, a greater focus on water, and an emphasis on the impact of building materials, and, according to Godden, Canadian builders are now focusing on sustainability features that include increasing the durability of construction materials, maximizing water efficiency through a variety of features, and supporting a more energy efficient lifestyle. How can Canadian equivalency practices inform our local experience and practices among builders in our community? How does a checklist approach used by some Canadian cities allow for flexibility and still hold builders to high standards? How does this approach ensure that we will achieve our community’s long-range goals of greenhouse gas reductions and sustainability? This April 25 Futures Forum should shed some light on these questions. Better Builder Magazine highlights residential projects that comply with or are making progress toward the implementation of the magazine’s goals: to bring together premium product manufactures and leading builders to create better homes and buildings that use less energy, save water and reduce our impact on the environment.” Featured projects run the gamut from single-family, to multi-family, to remodeled older homes. LEED certified buildings are often included. The most recent issue includes an article about our own Village Homes (see link below). What is LEED and LEED v4? LEED is a voluntary, internationally recognized third-party verification system for energy efficient building. It is administered in Canada by the Canadian Green Building Council where there are now a total 7,500 LEED registered homes. LEED in the US is administered by the US Green Building Council. LEED v4 looks at applicants’ specific achievements in, water, waste, indoor environmental air quality, safe and long-lasting building materials, and an increased focus on human health, biodiversity, the green economy, and community. The Canadian Green Building Council is currently providing tools and resources to builders, including many alternative options for meeting the LEED v4 credit requirements. LEED v4 also addresses overall challenges including climate change, human health, water resources, biodiversity, lifecycle cost of building materials, a green economy, enhanced community, social equality, environmental justice, and quality of life. This presentation is very timely. The City of Davis has been working on an equivalency approach since 2015. Council approved a new Natural Resources Commission–approved Green Reach Code late last night at their regular Council meeting. The City of Davis already sports a few LEED registered buildings, including the multi-family residence at 4th and C Streets and the US EPA building on 5th and G Streets. UC Davis satisfies LEED standards for many of its new and retrofitted structures. 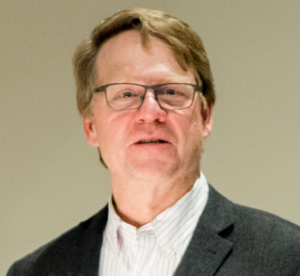 John Godden, publishing editor of Canada’s Better Builder Magazine, will speak in Davis April 25 at 7pm, at Davis Community Chambers, 23 Russell Blvd. Davis Futures Forum. The purpose of the Davis Futures Forum is to highlight innovative approaches to social, economic, and environmental sustainability through land use planning. The Forum primarily accomplishes its work by arranging for nationally known experts to speak at local public venues and with help from experts and supporters at the City of Davis, UC Davis, and in the community.